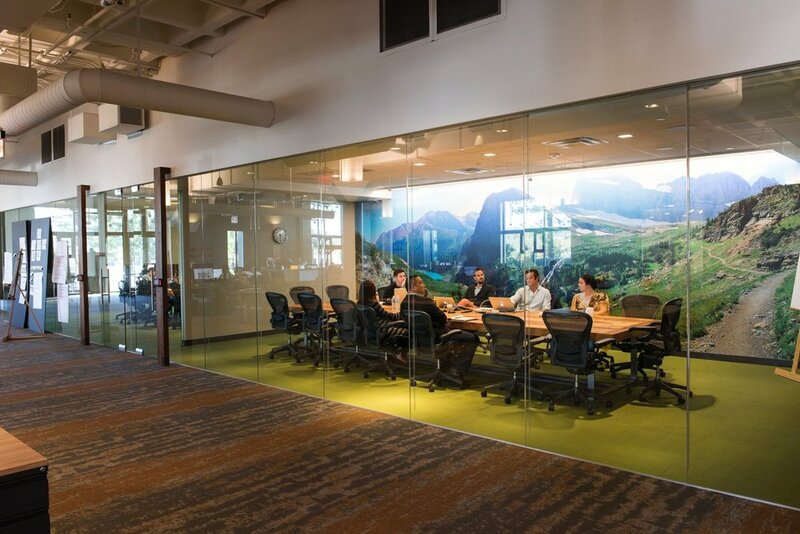 As the need for smaller interactive work spaces and the way that businesses collaborate evolve, so must the way that designers address the function and design of the work environment. 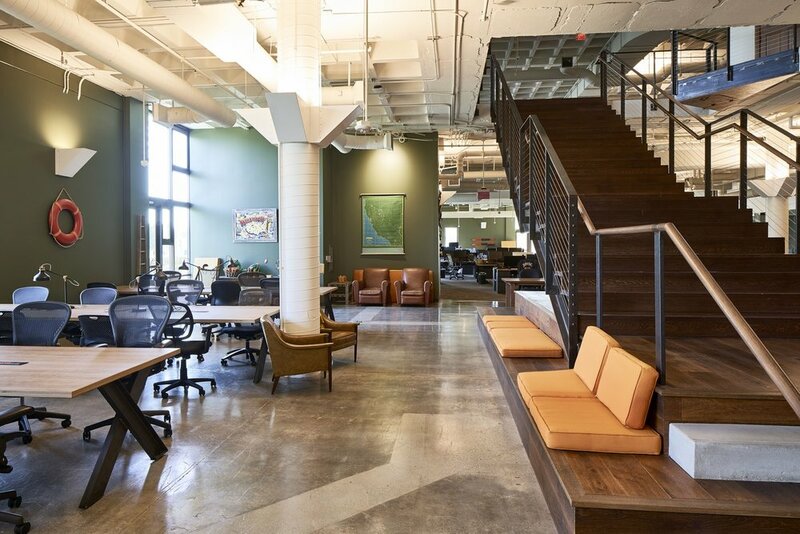 El Camp is a coworking space for “like minded” companies to share office space, and collaborate on projects together. Companies or individuals can either rent small enclosed offices, open seating, or become a member to have access to “hot seats” on an as needed basis. Conference rooms can be reserved for meetings, and “social seating areas” are scattered throughout the 50,000 sf facilities. 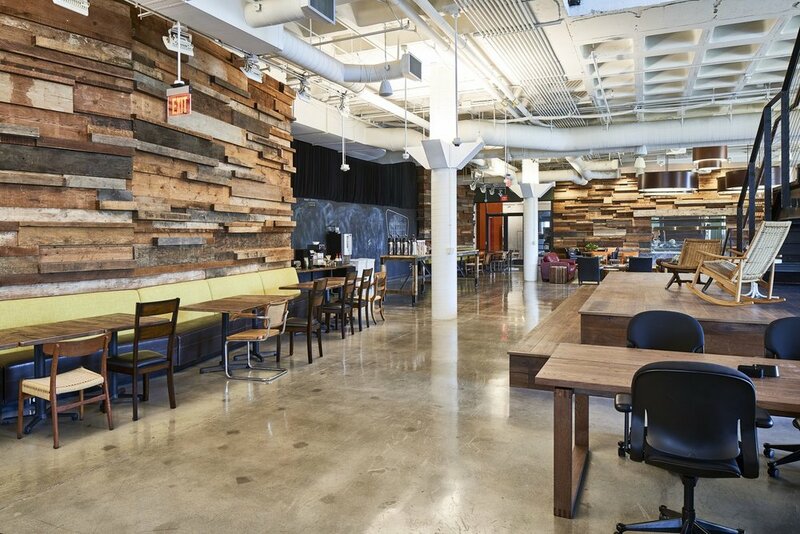 SFJones was assigned the task of creating the “social spaces” throughout the office arena designed by others. 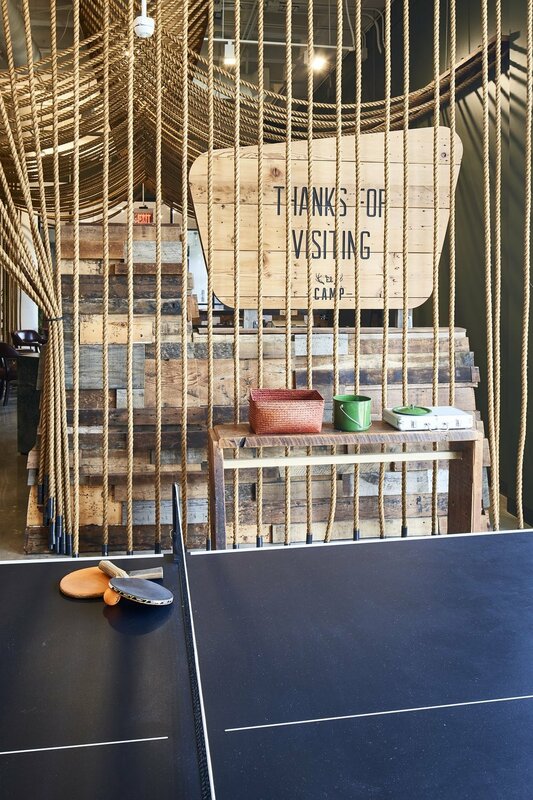 The solution was to create a “living room” space using a camping theme to tie the spaces together. 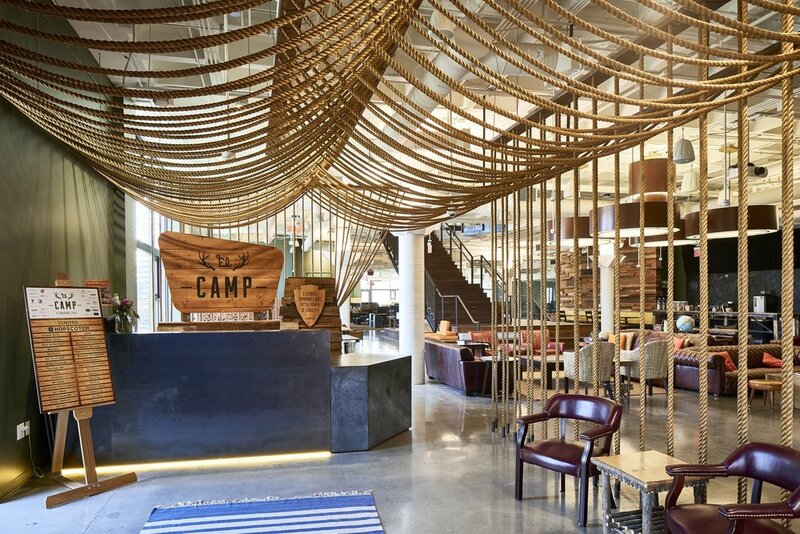 A rope structure that represented a tented entrance sets the tone as one entered the space and was greeted by the camp director. The “living room” also serves as an event space for speakers to lecture, and kitchen facilities allow outsourced catering companies to prepare event spaces. A grand staircase leading up to an additional second floor office space creates an interior deck for spontaneous gatherings. 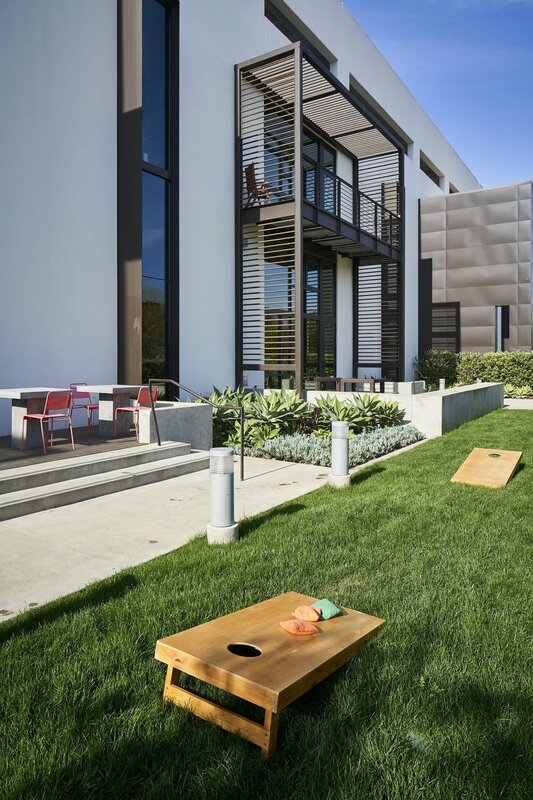 In addition, there is an exterior space with games, seating, and a barbecue grill making the office tenant feel right at home while working.